The two-and-a-half-year run of Don Thompson as CEO of McDonald's (MCD), a time that saw the stock flatten and sales struggle, is coming to a close, as the world's largest publicly traded restaurant operator named a new leader. Speculation had been building for some time that Thompson, who was with the company for nearly 25 years, might be in trouble because of McDonald's relative underperformance. 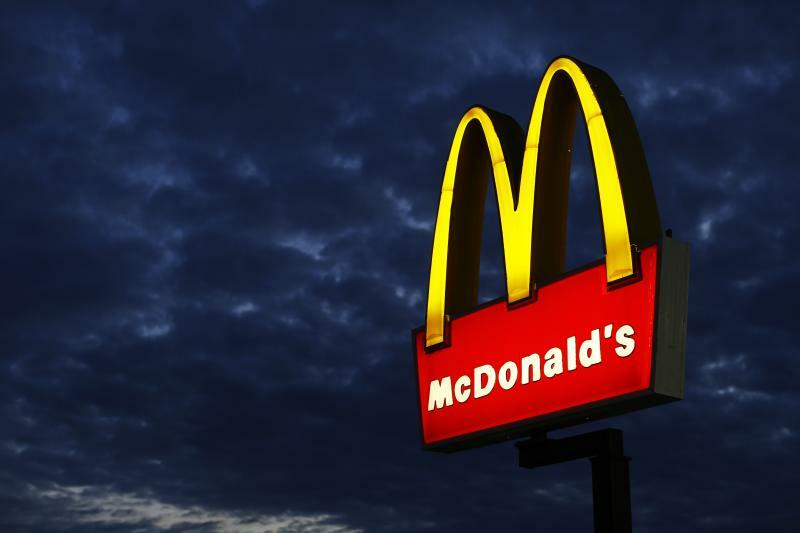 The Golden Arches, with 36,000 restaurants globally, has tremendous market share and reach, as well as paying a dividend investors like a great deal, but the stock trailed many peers the last couple of years and patrons were voting to spend their dollars elsewhere. After word spread that Thompson would retire as president and CEO and be replaced by Steve Easterbrook, senior executive vice president and chief brand officer, the stock rose 3% to $91.50. Easterbrook first joined McDonald's in 1993, then left in 2011 before returning to the company in 2013. He will also join the board. The c-suite change will be effective March 1. "Steve is a strong and experienced executive who successfully led our U.K. and European business units, and the board is confident that he can effectively lead the company to improved financial and operational performance," said Andrew McKenna, non-executive chairman, in a press release announcing the news. Thompson's comments were that "there is a time and season for everything. I am truly confident as I pass the reins over to Steve, that he will continue to move our business and brand forward." In addition, Pete Bensen, McDonald's chief financial officer, was promoted to a new role, that of chief administrative officer. Kevin Ozan, currently senior vice president and corporate controller, will succeed Bensen as CFO. The CEO change is the latest, and clearly the biggest, of several in the past few months at McDonald's. Last year, COO Tim Fenton retired, as did McDonald's USA president Jeff Stratton. Mike Andres replaced Stratton. Although Thompson's departure was described as a retirement, it does follow a disappointing year for McDonald's, one in which revenue fell for only the second time in 20 years. Additionally, 2014 was the second-consecutive year that saw the company's customer transaction counts decline. The full-year earnings report was only issued last Friday, and Thompson gave no indication then that he was planning to retire any time soon, much less in a matter of days. Despite its scale, McDonald's has been adrift for months, promising to change its menu, to make better use of technology and to be more open with customers in an effort to not lose diners to competitors, whether those are the fast casuals or other burger sellers. While it remains an incredibly large business, it was less and less clear what it truly could do to serve up new growth. The shares, and revenue, were stellar from 2003 through 2012, but it's been much tougher on the Oak Brook, Ill., company since. One of the latest setbacks occurred last summer, when its Asia operations were hurt by a supplier investigation in China. So far in 2015, shares of McDonald's are down 5.3% from where they closed last year.